Recipe inspired and adopted from Chrissy Teigen’s cooking book Cravings! but has been revamped with a little Food Disciple twist to it. Great cooking book, grab yourself a copy! Happy new week!! Welcome to December,so glad we are almost done with 2016. It has been a year, filled with adventures, growth and many many rollercoasters but still I am counting my blessings 🙂 Honestly looking back I am very happy with the way my year went regardless of the difficulties and obstacles, I guess that’s where the growth comes from because I am still here! 💃 So guys, enjoy the rest of your year and remember to take each day with ease, love and happiness. 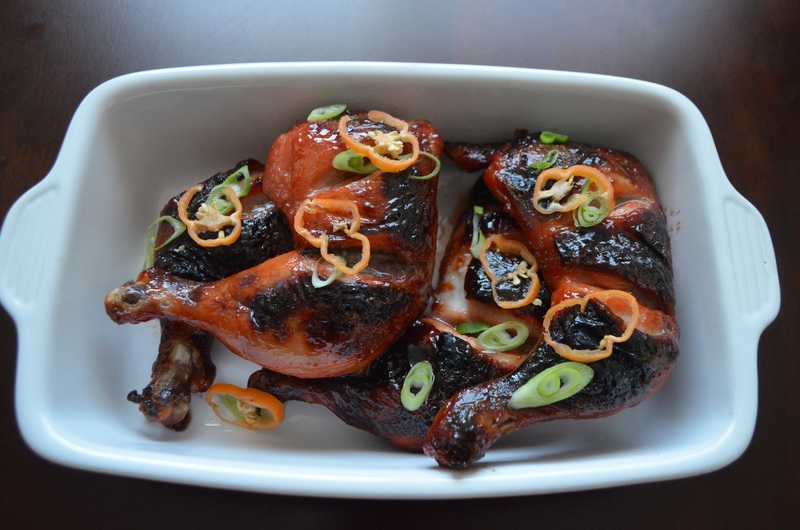 Today’s recipe is one of the delights I served my friends and family on thanksgiving, Char Siu! 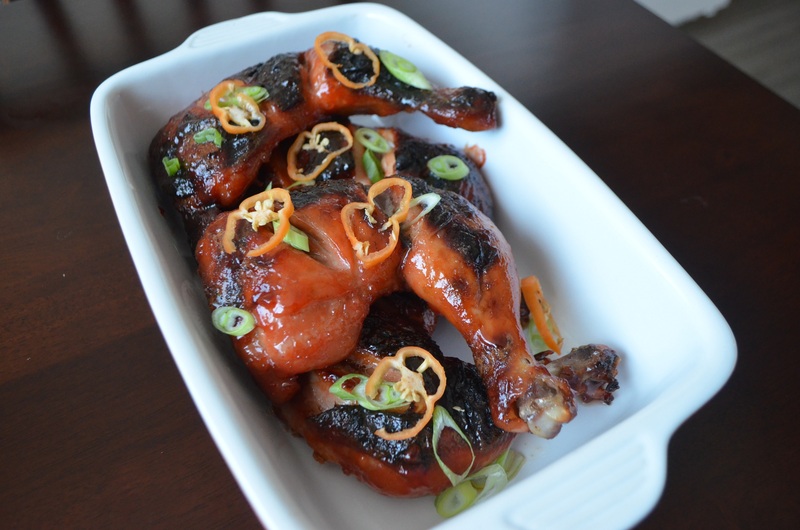 This means Chinese BBQ, and it is commonly used to prepare pork but as always I switched things up and used chicken instead of Pork. Simply because my friends and family will prefer chicken more than the pork and when you are catering to people,the number 1 rule is to always give the people what they want and will enjoy better. This paired so well with the Jollof Rice and coleslaw I had on the table. It is super super easy to make, no stress, minimal cleaning and preparation required and lastly so so so so delicious! need I say more. You can enjoy this chicken with white rice, fries or any kind of salad for my healthy people. 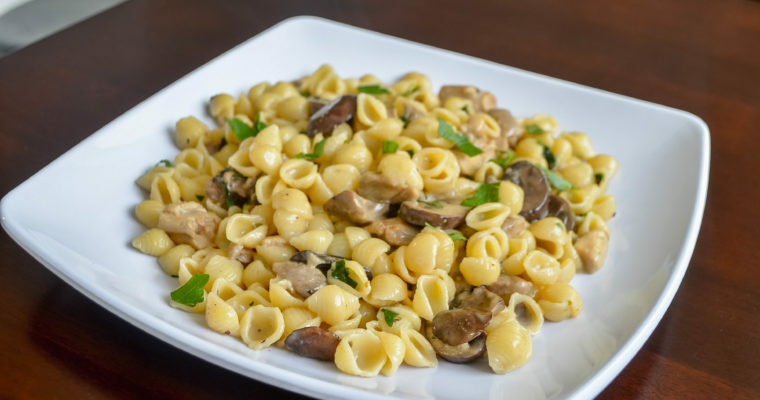 Hey Zinny Factor here is another easy recipe you can share with your readers. Please be sure visit Zinny Factor for your daily dose of ideas and solutions on how you can maximize productivity within your work place. This is for all professionals and trust me it will be worth your time. Step 1 Clean and dry Chicken Quarters. Place Chicken in a large ziplock bag. Step 2 Properly add and mix all ingredients in a bowl. Step 4 for ultimate flavor, marinate overnight. Use ¾ of the marinade and set the rest aside. Step 5 Preheat oven to 305 degree F on grill. Grill on both sides for 30-40 mins or until well done. Coat chicken with the remaining marinade after 15 mins of cooking before flipping to the other side. 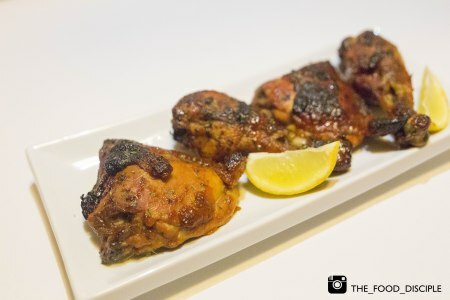 If the chicken starts to blacken do not panic, it is just the honey your chicken is not burning. Step 1 Blend onion and scotch bonnet pepper together and set aside. Step 2 In a cooking pot, add your washed chicken wings, half of your blended pepper and onion mixture, 2 seasoning cubes and salt. Add salt according to preference and if you do not like really spicy food, reduce the amount of scotch bonnet used or remove the seeds. Boil until meat is tender, it should take about 15- 20 minutes. Step 3 Place your chicken wings in the oven and grill on 350 F until wings are golden brown and a little crispy. Step 4 In the same cooking pot with chicken stock, add remainder of the pepper mixture, ground crayfish, seasoning cube, and water. Cook for 5-7 minutes. If you want your soup thick, add only 3 cups of water but if you want it a little loose add 4 cups. 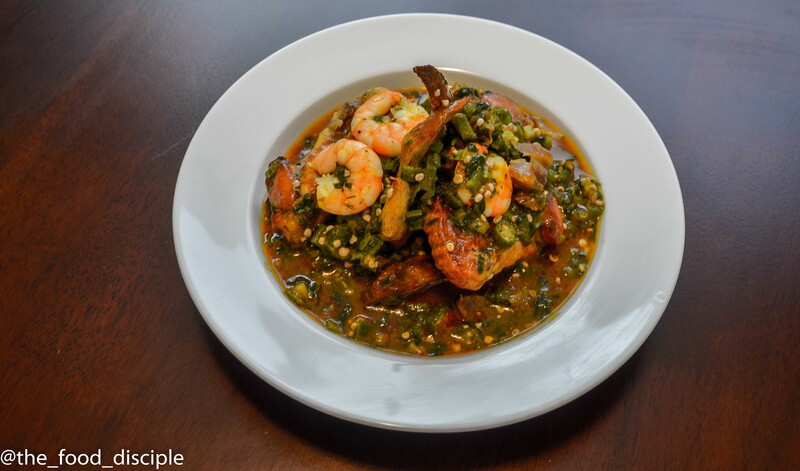 Step 5 Add your chopped okro, palm oil and cook for 4-5 minutes. Taste for salt and add more if needed. 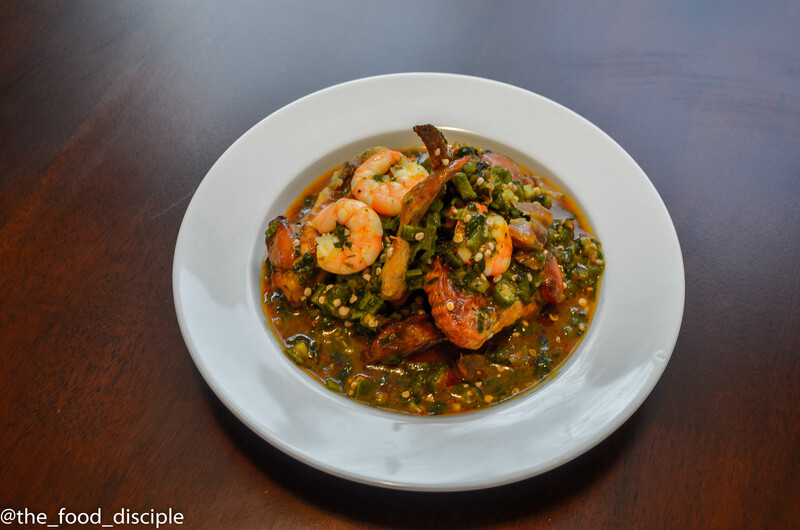 Step 6 Add your chicken wings and cook soup until okro is completely cooked. It will take about 4-5 minutes. Step 7 Add fresh shrimp and spinach and simmer for 1-2 minutes. Step 8 Your food is ready!!! 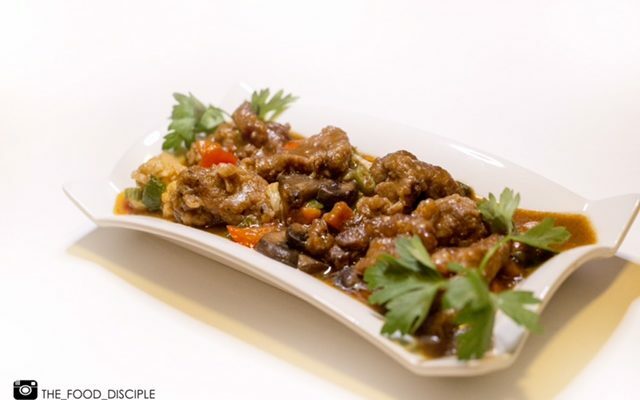 Serve with any side of choice ( Eba, semolina or pounded yam) or grab a spoon and enjoy on its own. I know you all missed me 😁. I have been off my blog for a while now, well let’s just say life hit me. I got a second job and am back in school and it has been really challenging balancing everything all at once; I hope you all have not forgotten about the food disciple 😰 because this blog is my everything. Anyway, I am back now with more delicious recipes that you can enjoy. For the next couple of weeks I will be posting quick easy recipes that you, your family and friends can enjoy 😋. 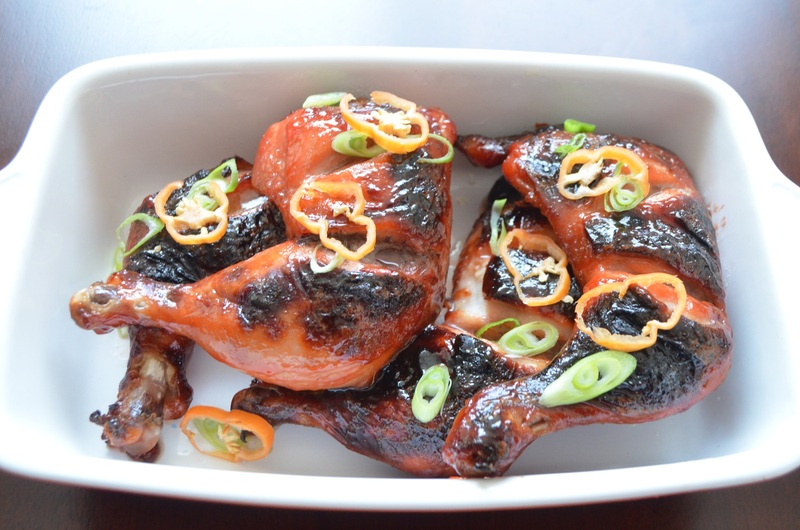 In the kitchen today is no other than my very own quick and easy grilled chicken recipe. Well clearly summer is officially over L and it is getting really cold and windy, but that does not mean you can’t enjoy delicious summer foods 🍗🍔🍢🌽. 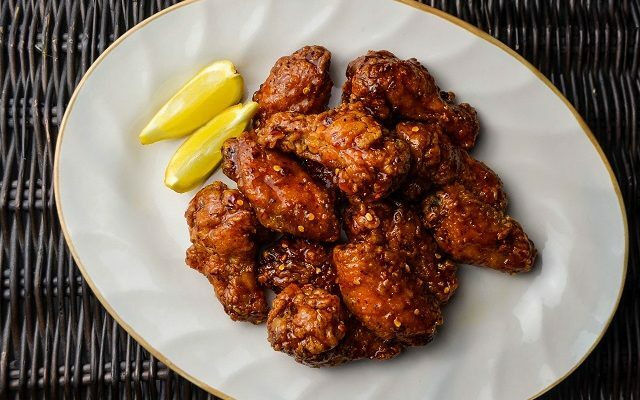 What I really love about this recipe is that you do not have to break your bank for ingredients and store bought BBQ sauce, most of the ingredients are already in your kitchen pantry or refrigerator. Without the use of a grill or a grill pan, your chicken can still get the same smoky flavor you get when bbqing or rather just close enough 😥. 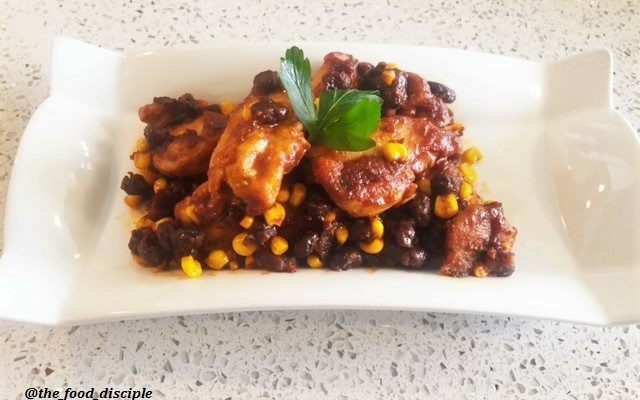 This recipe can be paired with any meal such as rice, fries, pasta etc. or you can enjoy as it is. 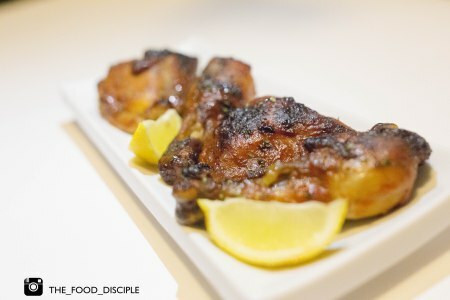 A side note, this recipe can be used on any part of the chicken, but in my post today, I will be using chicken quarters. There are 2 methods that can be used for this recipe which will be provided below. Now let’s get to it. Enjoy!! Step 2 allow to cook for 8-10 minutes, so the seasoning can penetrate into the meat and also cook the insides. Step 5 Pre-heat your oven to 350 Degree F on broil. 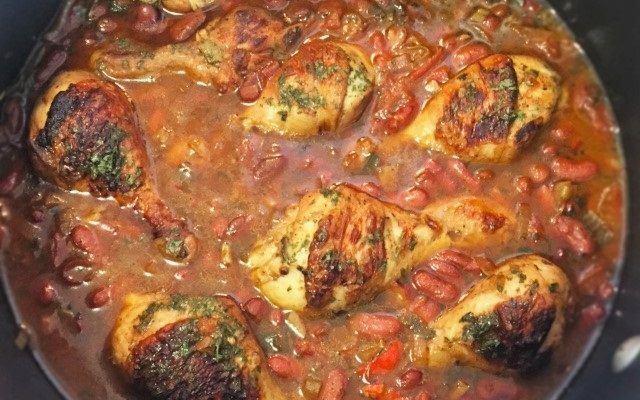 Place chicken in a casserole dish, with the inside facing up and sprinkle some parsley flakes as desired. Step 6 Allow to cook for 15 mins, baste with your bbq sauce and cook until browned. Step 7 When it is browned, flip to the other side and repeat same process in no. 5. 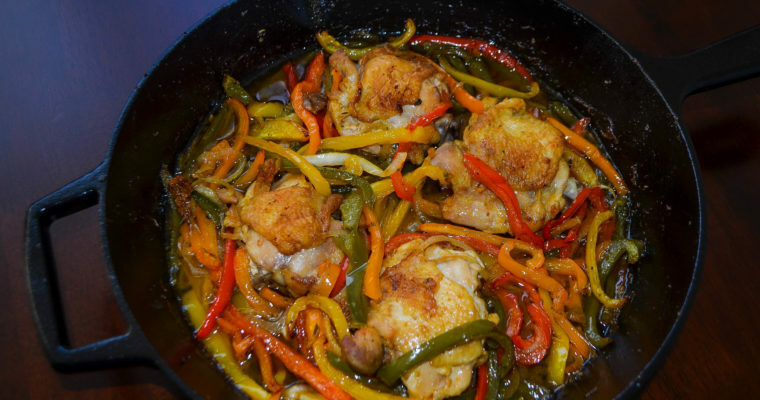 Cooking the chicken in a casserole dish helps it retain its moisture unlike step 7. Step 8 For a more authentic bbq feel, place your chicken directly on the grill and cook on both sides until browned. Follow the same process as no.5. Step 9 Grill chicken for 30 to 40 minutes. Step 11 I parboiled my chicken in this recipe for two reasons. Firstly, I really do not like under cooked chicken 😝😡, you know the ones that look good on the outside and bloody on the inside. Step 12 Secondly, it takes about 40 minutes for your chicken to completely cook and 20 minutes into the cooking time, the chicken skin will start to burn because of the honey. 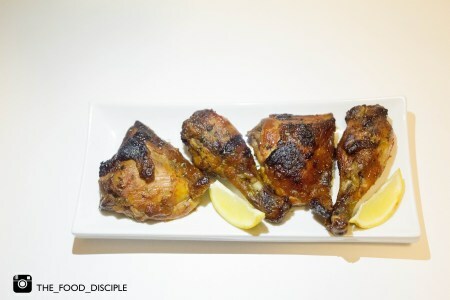 When you parboil your chicken, it cuts the cooking time which will also prevents the chicken from completely burning before it is properly cooked. Step 13 For those who wish to skip the boiling process, add your ingredients to the bbq sauce mixture and marinate for an hour or more. 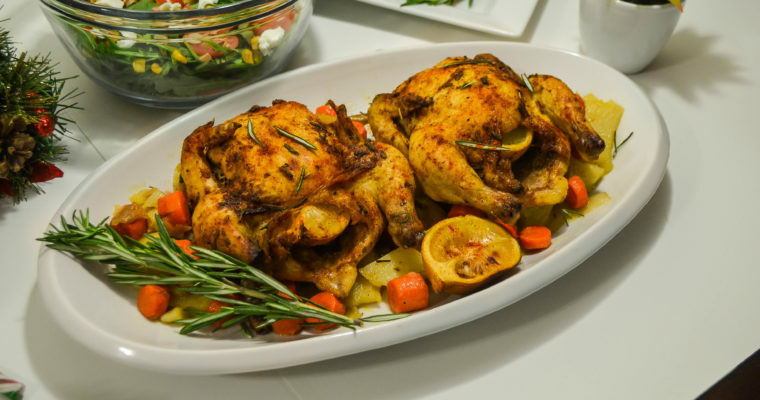 Preheat your oven to 330 Degree F on broil, so the chicken can cook form the inside out. Step 14 To intensify the smoky flavor, I bumped up my oven to 450 degree F for 5 mins, when my chicken was completely cooked and ready.